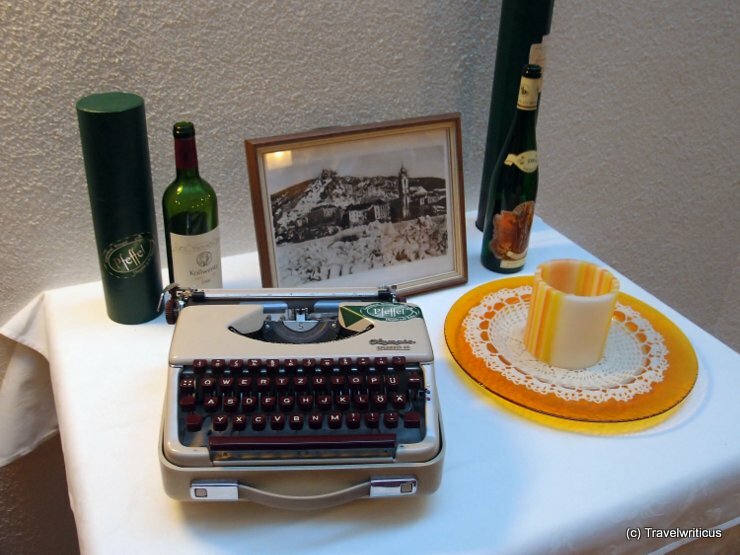 At the winery Steyer in Slovenia I discovered this old typewriter, produced in Erfurt by AEG. I was surprised about the technology as it looked very uncomfortable to me. 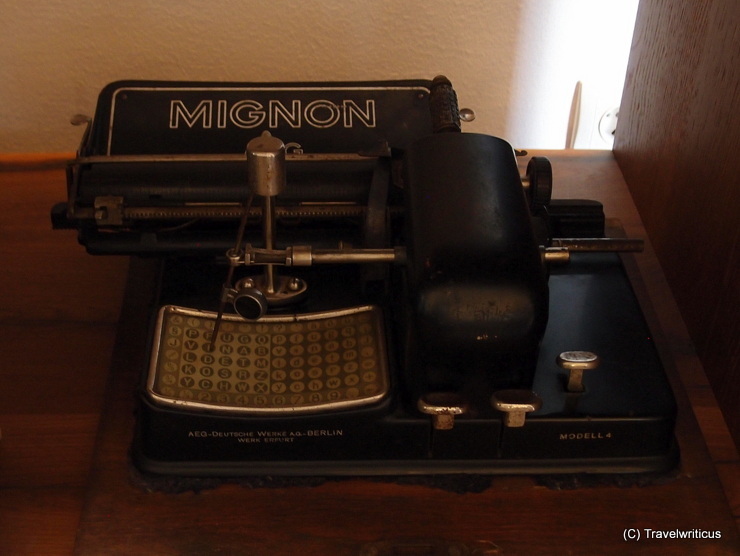 The typewriter was obviously a success though, as it had been produced for nearly 10 years from 1924 to 1933.